Must-read tips on how to purchase a Static Caravan! Buying a static caravan holiday home is a major lifestyle choice. Caravans come in all shapes and sizes, and whether you are trying to buy privately or from a trader, new or used the process can be confusing for first time buyers. The key to making the right choice is to filter out all the bumf, leaving you with only useful and pertinent info. We have a few tips to help make the process easier. Take your time to shop around for the different types of caravans available and maybe more importantly the different prices. Sales representatives have a lot of information and should be able to answer most of your questions. However remember they are ultimately trying to make the sale. The process of searching for, and subsequently purchasing, a holiday caravan can be an overwhelming one. With so much choice on offer in terms of caravan models, location and choosing the unit that best suits needs means grappling with a vast amount of data. Buying a holiday home should be approached in the right way. Don’t think of it as a financial investment, rather as a long-term lifestyle choice. 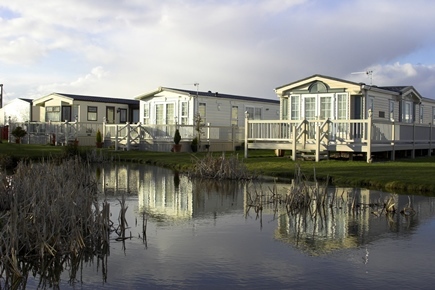 Talk to a static caravan owner about the benefits of purchasing a holiday home unit. They are unlikely to mention things like “profits” or “financial investment”, as these is often non-existent. Renting and subletting your static caravan when you aren’t using it is a popular way to subsidise the running costs of the unit. While you are unlikely to turn a profit from your caravan, subletting in this way can help you recoup some or even all of the annual fees and running costs. Subletting your caravan decreases the amount of time you can use it for holidays and personal use, so it’s important to strike a balance between maximising your revenue from renting and enjoying some quality time on holiday. Renting your unit to trusted family and friends will give you peace of mind that the caravan is being looked after. None of us like the idea of our goods being stolen or damaged. It is important to protect yourself in the event that something does go horribly wrong. Insurance premiums are affected by many things from where your caravan will be parked to the level of security your caravan has. Take the time to read the policy and check what you need to do as some policies will ask you to secure your caravan in a particular way. Whether you are preparing for an adventure this winter or planning your summer holiday! Get specialist insurance for your static caravan now! Call our friendly team on 0800 294 4522 today!